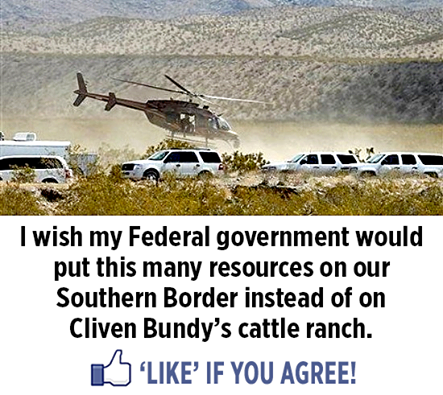 If our incompetent federal government would secure our southern border the way they are locking down the Bundy Ranch we wouldn't have an illegal immigration problem and Cliven Bundy would be a free man. What am I thinking? That makes too much sense….